WASHINGTON — President Donald Trump pushed back against reports of a rapid withdrawal of U.S. troops from Syria during a press event on Wednesday, but confirmed that he will be ending American military activity there in near future. Earlier this week, the New York Times reported that Trump had amended his plans to withdraw about 2,000 American troops from Syria over the next four months, instead of removing all the troops in just a few weeks. But Trump said he has no specific timeline for the withdrawal. He did say the fight there is no longer worth any amount of American lives or money. “Syria was lost long ago,” he said. “We’re talking about sand and death. We’re not talking about vast wealth. We’re talking about sand and death." He also insisted that the threat of Islamic State militants in the region — the reason for the American military’s return to the Middle East in 2014 — has now been neutralized, thanks to aggressive steps he took to remove combat restrictions on military commanders. “We were supposed to be out of Syria many years ago. We went in for these spot hits,” he said. Trump implied that his decisions have the full support of military leaders he spoke with during his recent visit to Iraq, even though the Syria withdrawal was a point of disagreement between Trump and former Defense Secretary Jim Mattis. The withdrawal has raised concerns among lawmakers on Capitol Hill who worry the move is being made too quickly and with too much advance notice. In the past, Trump had promised he would not publicly announce major military moves and give enemy fighters any potential tactical advantage. 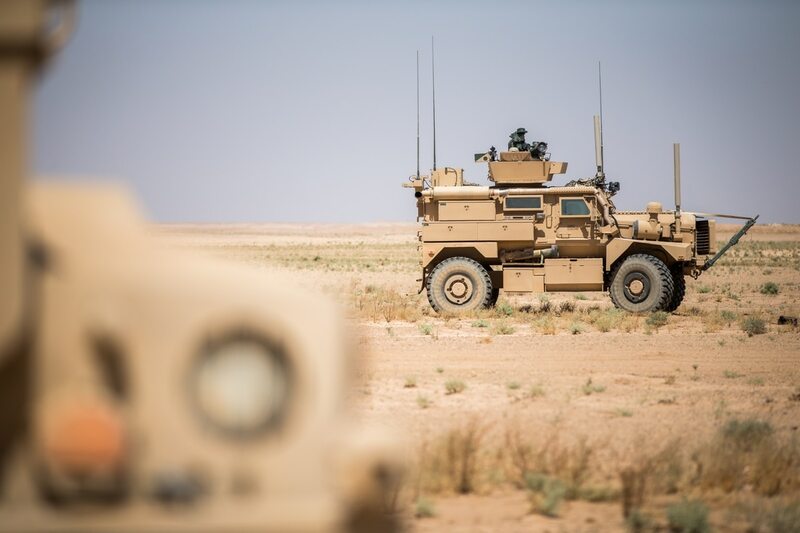 Many top officials see the current Syria operations as necessary to ensure ISIS defeat. At the Cabinet meeting, Trump admonished acting Defense Secretary Patrick Shanahan for inspector general reports on the wars overseas. Those investigations typically focus on government waste and not strategic or tactical moves, but Trump said he still sees them as a potential threat. “We do these reports on our military. Some [inspector general] goes over there … and they do a report saying every single thing that is happening,” he said. “We’re fighting wars, and they’re doing reports and releasing them to the public, which is basically the enemy.